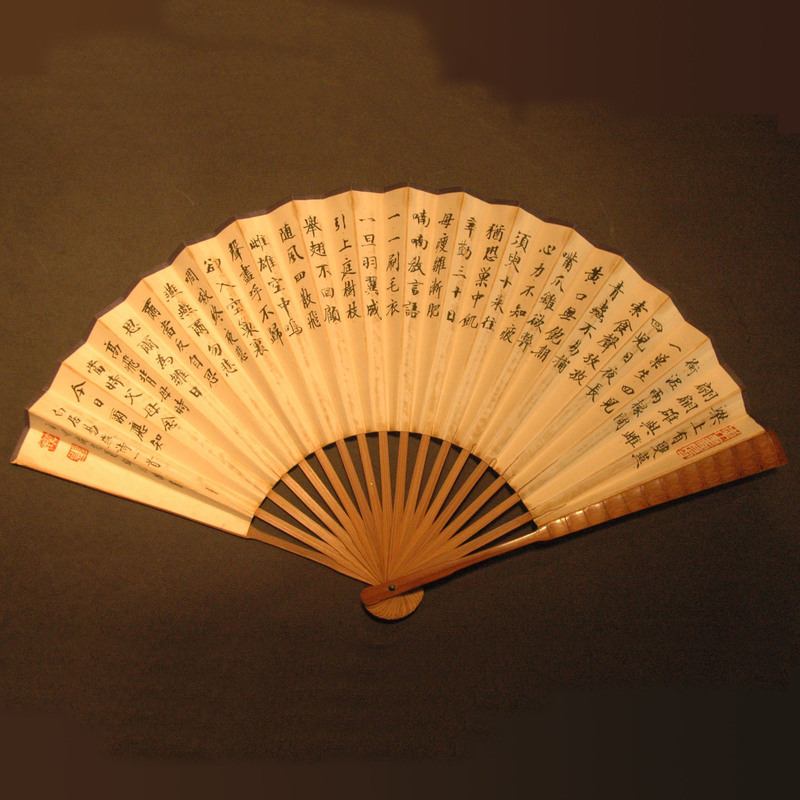 The folding fan was introduced to China from Japan in the Song dynasty; they were a gift from monk Chonen to the Emperor. Emperor Zhu Di lead on the fan fashion, he ordered the court to produce a large number of hand fans, decorated with poems or verses and award the to the high officials. This became to the trend of the intellectuals, exchanging poems and calligraphy through the fans as a gesture of friendship. Even the Qing dynasty, the fashion of hand fan was well in its height. This is a fan from the 50s, a Bai Ju Yi poem about parenthood was added by my father recently.